15.12.2017, Oststeinbek (Germany) – Japanese cooling expert Scythe presents the significantly improved “Mark II” version of its Kotetsu CPU Cooler. While keeping the basic design of the predecessor, Kotetsu Mark II comes with both visual and technical improvements. 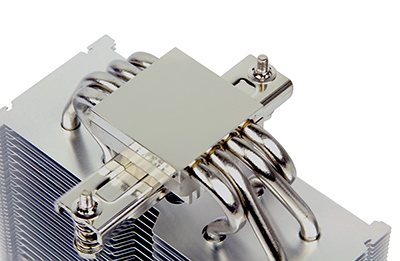 One of the key advances is the offset, where the heatsink is not centered but moved to the side and the rear. 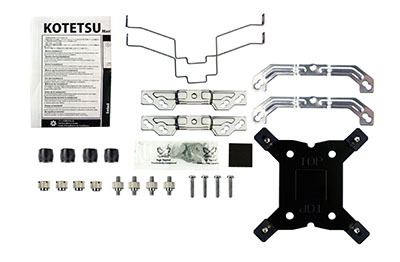 This allows the CPU Cooler to increase the distance to the first PCI-Express slot, offering unchallenged compatibility to VGA card with outsized cooling solutions and avoid clearance issues with memory modules with large heatsinks at the same time. Kotetsu Mark II is able to deliver a significant performance boost compared to the first version, thanks to an optimization of the manufacturing process. Visual improvements include the new aluminum-look top-cover and nickel-plated heatpipes and base-plate. 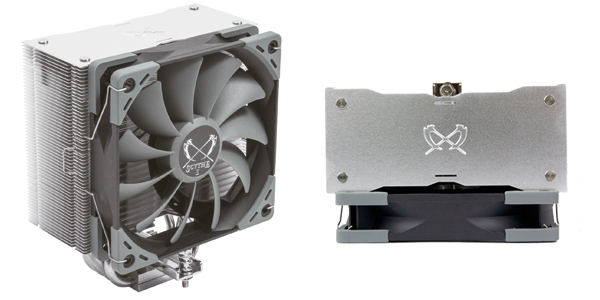 The Kotetsu Mark II is bundled with a high-quality PWM-fan from Scythe’s Kaze Flex 120 PWM series. In spite of the significant improvements of performance and visuals, Kotetsu Mark II price is remaining to assure the best possible price-performance ratio.